(Trinidad Guardian) Acting Police Commissioner Stephen Williams during an emergency press conference at the Police Services’ Administration Building in Port-of-Spain, yesterday. 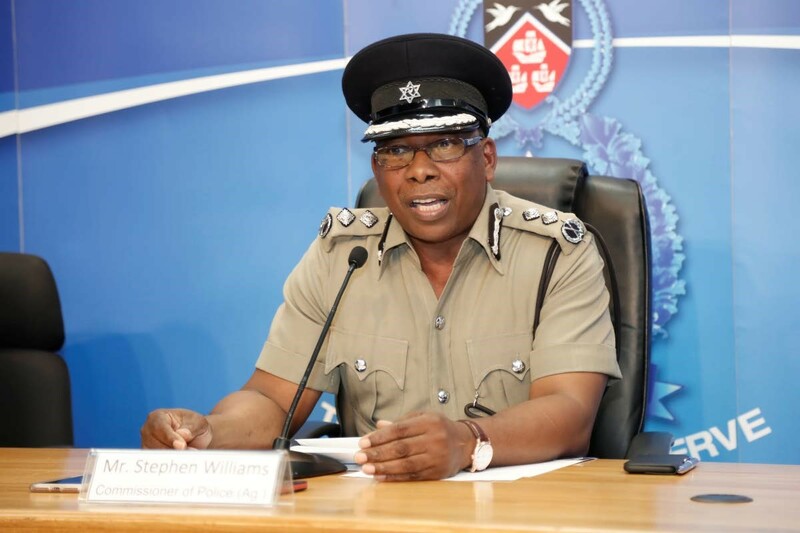 The threat to disrupt Carnival 2018 is still very much on, acting Police Commissioner Stephen Williams stated yesterday as he announced that three more people are now in police custody following ongoing investigations into the matter. A total of seven adult males have now been detained with respect to the threat, Williams said. That threat, however, is not a “terrorist threat” and did not involve the Trinidad and Tobago Police Service (TTPS) unearthing “any threat in relation to any embassy or high commission with a diplomatic presence in Trinidad and Tobago”, he said. Williams said talk of embassies being attacked were simply “rumours”. “The threat we speak about is of unusual criminal acts of varying forms, including violence,” Williams said. Williams said the investigation into the Carnival 2018 threat is a “live one” and that the TTPS is “doing everything legally possible to eliminate that threat”. Williams said the investigation into the matter is being fully led by the TTPS and that they have not “fully engaged any external agencies for extensive support”. 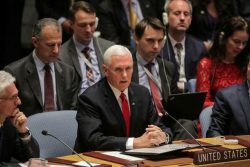 The TTPS has not had any direct presence from the United States in the investigation, he said. Speaking at a special media briefing called yesterday, Williams said he could not say whether the seven men arrested are Muslim, but gave the assurance that no particular group is being targeted. Williams, however, said that two Masjids have been searched by the police. Murder accused Rajaee Ali, who was moved from the Port-of-Spain jail to the Maximum Security Prison on Friday, is not a “person of interest” in the matter, Williams said. 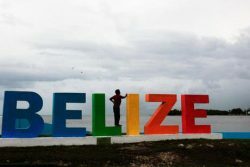 “At present, the investigators continue to interview persons detained and they also continue to pursue the gathering of evidence with a clear intention to prosecute persons where sufficient evidence would have been obtained,” Williams said. Williams said the Director of Public Prosecutions is being consulted at intervals. Williams said the TTPS and the Trinidad and Tobago Defence Force will be out in their numbers to ensure Carnival 2018 is safe. “Based on the advances we have made since the threat was uncovered, I am in a position to give the public the assurance that the Trinidad and Tobago Police Service supported by our partner agency the Defence Force will continue to be out in our numbers at all Carnival venues to ensure a safe and secure Carnival 2018,” Williams said. Williams said the agencies are working swiftly to ensure the threat is dealt with. “We are moving speedily to treat with that threat, the Police Service is out there in numbers, in numbers investigating and in numbers protecting and providing a safe and secure environment for the citizens and visitors alike,” he said. He did not disclose if a specific area was going to be targeted for the threat. Williams urged citizens to remain vigilant and say if they see anything strange taking place. “Any matter which may come to your attention and which you consider to be strange, unusual, untoward or out of the ordinary, you should feel free to share those matters to any police officer on duty or within any police station or call 999,” he said. When the TTPS first informed the public of the threat on Thursday, four people were detained. They were still in custody up to last night. Williams said there was no fixed period of time to keep them. “From the best of my knowledge, there is no fixed period of time to keep an individual, what is intended is that you need to be able to arrest persons and in a very timely way seek to prosecute them or release them,” he said.